Superb Condition, LESS THAN 10,000 MILES, FORD CERTIFIED PRE-OWNED. Ride in style with this drop-dead gorgeous Fusion and enjoy its polished driving dynamics. In addition when you buy it, you will get top-notch fuel economy, quite upscale cabin and abundance of advanced technology. 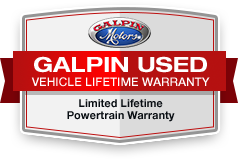 Call us today to see this beautiful sedan in person and experience 'Galpin Used Car Difference'.